Located within the beautiful Pelican Bay community, St. Tropez is a boutique condominium with sweeping views of Outer Clam Bay and beyond to the Gulf of Mexico. St. Tropez offers a large variety of amenities including a large pool suitable for lap swimming, tennis court, fitness room with state of the art exercise equipment, sauna, and private bathing and changing areas, a library, social room, TV room and free WiFi throughout the common areas. Owners have a choice of two suites for their guests. The parking garage provides covered parking for owners’ automobiles. 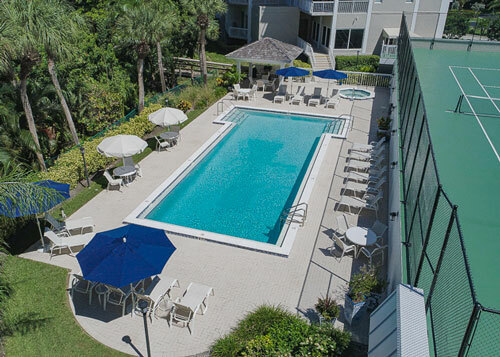 These amenities are provided in a secure, friendly environment featuring 24-hour monitored security, and an on-site property manager to provide excellent service and high quality management. Access to all that Pelican Bay offers is just a short walk to Tram Stop #1 on the south berm. You are only a ten minute ride from your back door to the full service facilities of South Beach and the Commons. 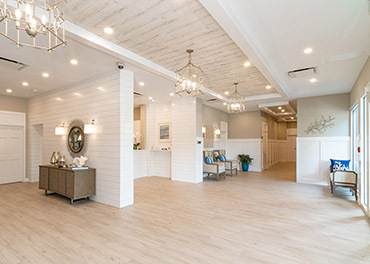 With residents of all ages and backgrounds, St. Tropez offers the family feel of a neighborhood when you want to socialize and the privacy of a luxury condominium when you simply want to relax.